Basically empty out the kitchen into this yummy recipe. It makes up a nice, large batch, so it lasts, and is worth the time. When completely melted and mixed, pour the wet ingredients over the dry and mix thoroughly. Spread out on a greased cookie sheet(s) for loose granola, and bake for 15 minutes, flip, and bake for another 10 minutes. For a granola bar, spread and press in a pyrex or pan, and bake for 30 minutes, let cool, and cut into bars. This will keep you full and satisfied for hours, enjoy! 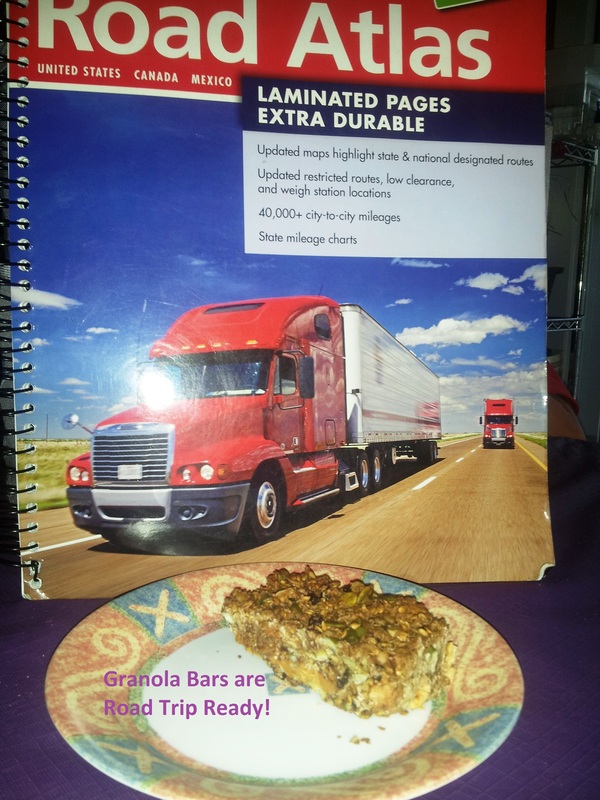 This entry was posted in Uncategorized and tagged granola recipe, healthy eating, healthy granola, real food, reduced sugar granola, road trip, road trip real foods. Bookmark the permalink.